Small Town America Photographs. Kimball, Nebraska. 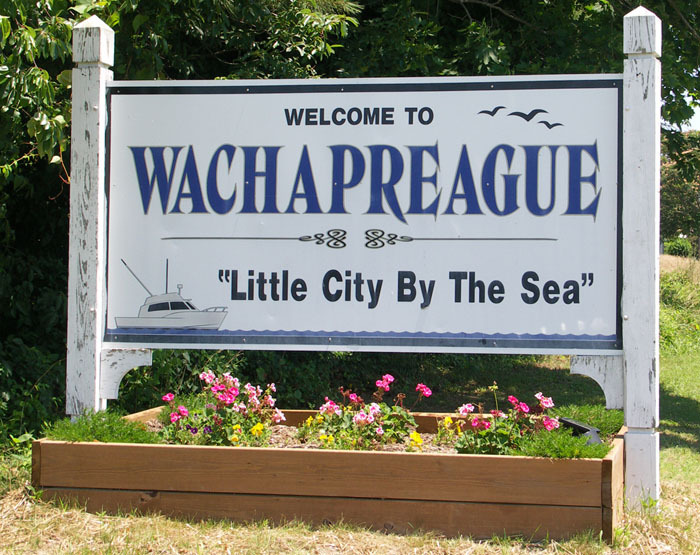 Wachapreague, is said to be an indian word meaning "Little City by the Sea". Emperor Wachiwampe left Wachapreague to his daughter in a will of 1656. However, it was not until 1874 that Wachapreague began as a small town. During the late 1800s the town became a bustling port. By 1884, Wachapreague had twice weekly freight and passenger service with New York City; numerous stores had opened, and the town became a resort. In 1902, the Hotel Wachapreague was built - a lavish, four story building with 30 guest rooms. The hotel’s clientele grew and several famous visitors stayed there including President Herbert Hoover. 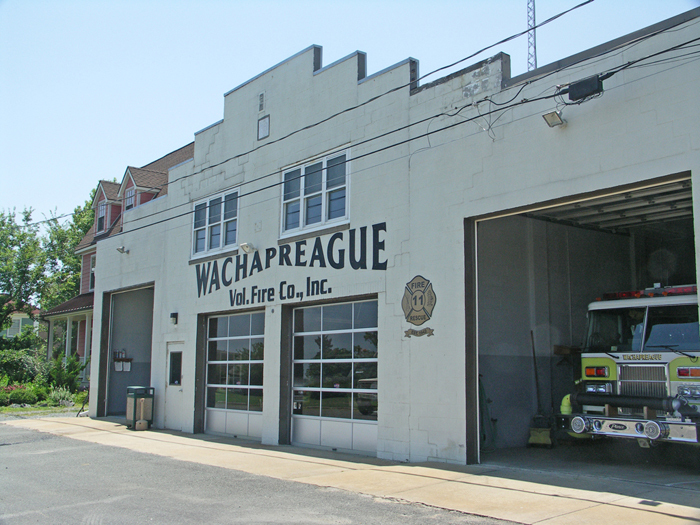 During the early part of the 20th century, Wachapreague continued to grow, but in 1931 the town’s bank closed. By the next year the town was owed over $2,000 in unpaid taxes and did not have enough money to cover its debts. Things deteriorated further with the Hurricane of 1933 which caused extensive damage in town. Then in 1935, the Methodist church burned. In 1938 the financial problems were resolved, and by the 1940s the town was growing again. But by the 1960s, the population was in decline, and in 1978, the Hotel Wachapreague burned down. Today, the population has stabilised at just over 200 residents. It is a quiet coastal village, although it is very popular with local sports fishermen, and there is some commercial fishing and fish processing. However, unlike many small towns in the USA, there is no historic quarter, but there are several fine houses, and the Fire Station from the 1930s. These photographs were taken in July 2009 and August 2011. 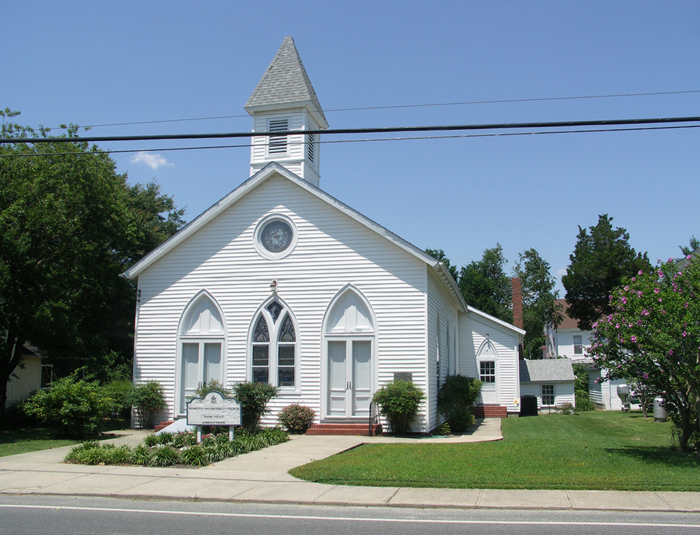 Wachapreague is on the east coast of the Delmarva Peninsular, in the state of Virginia. 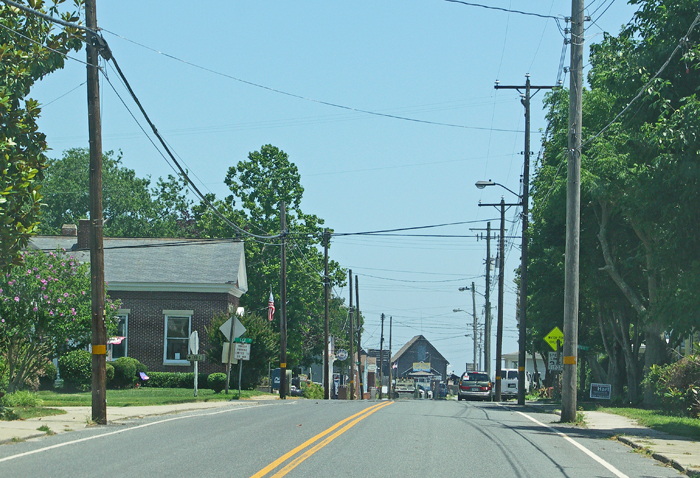 This is Main Street, the road leading in to Wachapreague from Route 13. 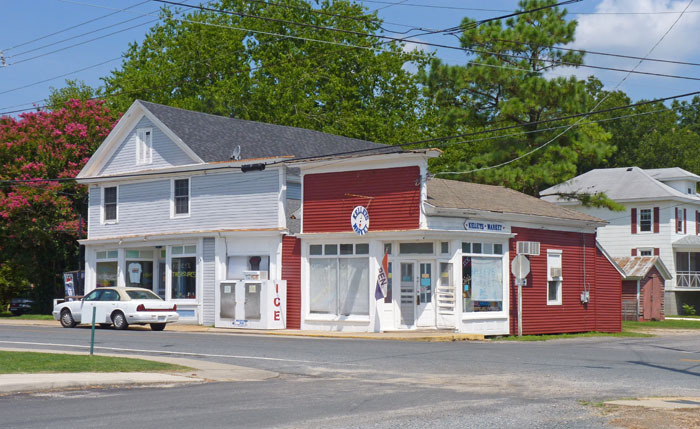 The only general store in town is on Main Street, at the corner with Brooklyn Avenue. The local volunteer fire department is housed in this Art Deco-style building from the 1930s. 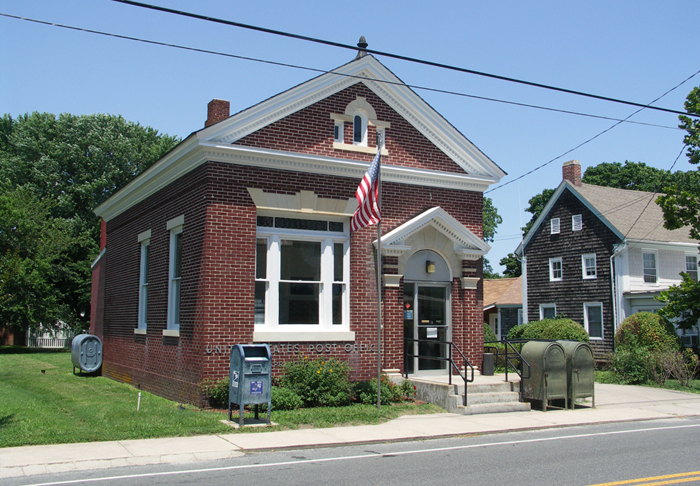 This is the Post Office, also on Main Street. 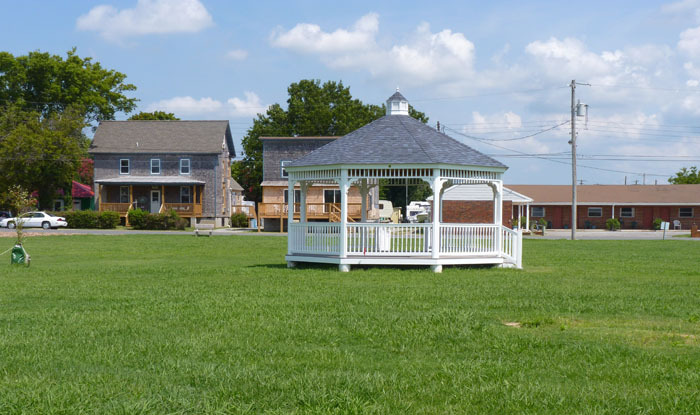 The large town green features a bandstand. This appeared between our visit in 2009 and our revisit in 2011. 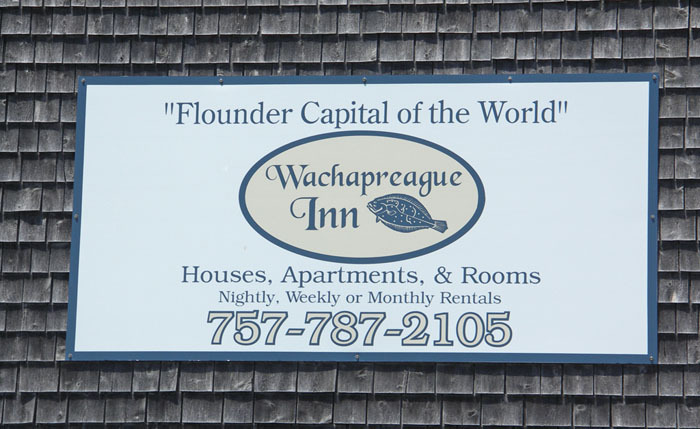 The sign on the Wachapreague Inn declares the town as "The Flounder Capital of The World". I wonder if the rest of the World realise that? Wachapreague Town Hall. 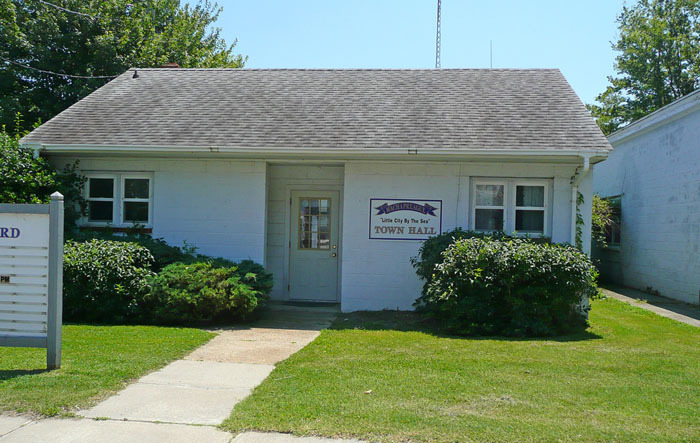 Is this the smallest town hall in the USA? 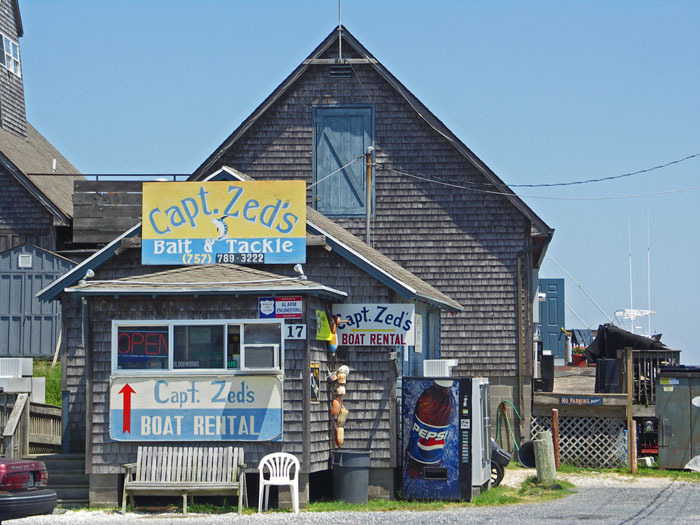 Captain Zed's is the place for fishermen to get all their needs. Powelton Presbyterian Church on Main Street. 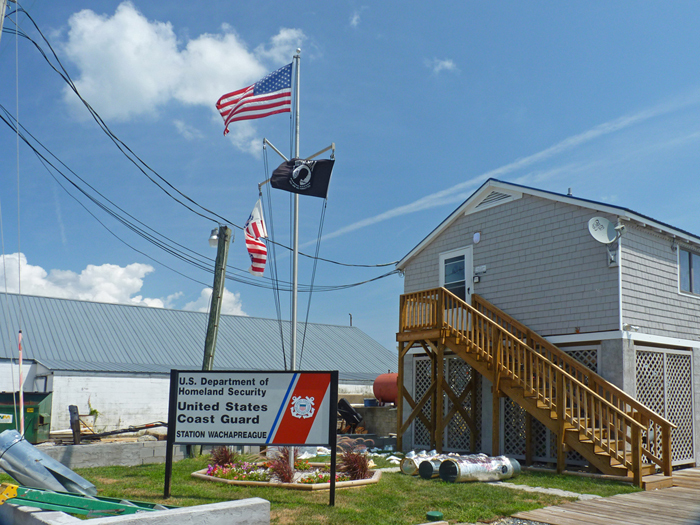 Wachapreague is a port and so has its own Coast Guard presence. 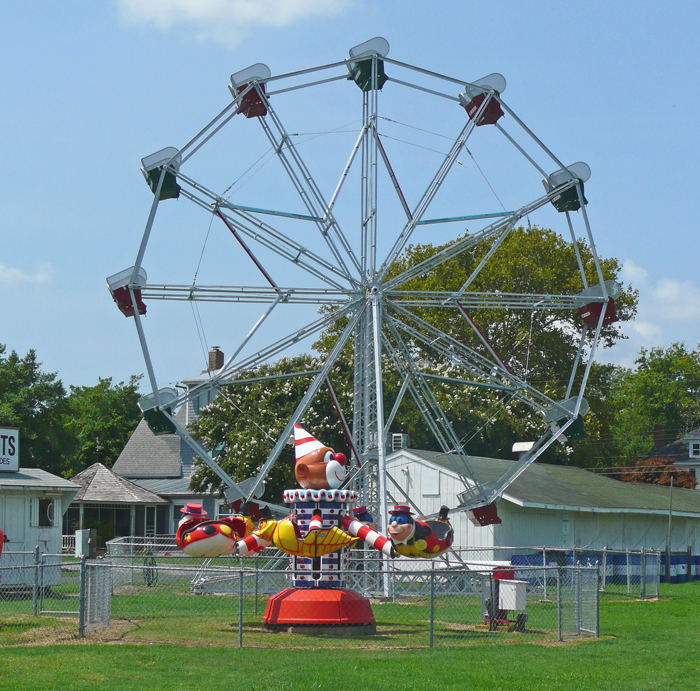 The fairground is open for special events such as the Volunteer Fireman's Carnival.